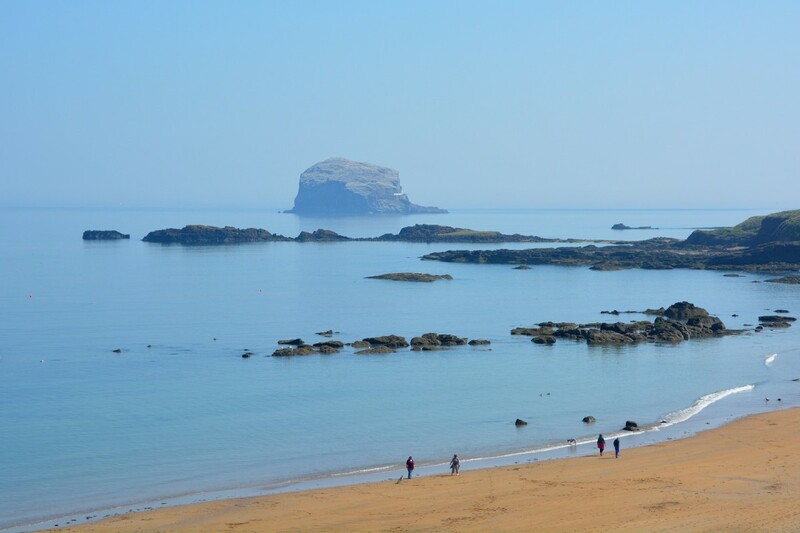 Reasons why Gilsland Park at North Berwick is the perfect location for your next holiday home. Spring might just be round the corner, many are dreaming of Holidays and some are dreaming of having their very own Caravan Holiday Home. Your special little bolt hole. Your time out. A place to recharge, to relax and enjoy. A place sit, to breathe, a place to be….. When talking of the benefits of owning a Caravan Holiday Home the following quotes are listed again and again by caravan owners; “it gives us improved family time”, “we now lead a more relaxed life”, “the time spent here gives us truckloads of fond memories” and “these are the memories that last a lifetime”. Indeed, the buying of a Caravan Holiday Home should be thought of as a Lifestyle Investment for yourselves and your family. Giving you a “home from home” to relax and escape to and a base from which to enjoy fantastic holidays with your nearest and dearest, year after year. One of the most important considerations is LOCATION and here’s why Gilsland Park at North Berwick is indeed a GREAT LOCATION. Getting there is super easy. North Berwick in East Lothian, also known as Edinburgh’s Coast and Countryside is situated 45mins from Edinburgh and an hour and half from Glasgow – being close enough to get to easily ensures you will make use of your hideaway often. Not only that but North Berwick is connected to Edinburgh by a 30 minute train ride so you don’t even need to drive! North Berwick is a cracking place. Gilsland Park is situated on the edge of the beautiful and bustling, seaside town of North Berwick. Quiet and peaceful on park but a simple 15 minute walk to town and you can explore the wonderful shops, bars and restaurants as well as the wonderful play parks, beaches and harbour. Make the right choice that keeps generations happy is very important and North Berwick and East Lothian fit that bill with attractions and activities for all ages and interests. There are a huge variety of interests and activities to attract the whole family ensuring the area remains attractive to your family as they grow and develop and Gilsland Park is a great base from which to explore all that is on offer. From the wonderful coastline with sandy bays and rocky coves and the fishing harbours of North Berwick, Dunbar, Port Seton and Cockenzie, to further inland where you can discover the beautiful unspoilt countryside and woodlands of East Lothian dotted with the picturesque villages of Stenton, Garvald, Tyninghame & Dirleton. Explore the charming towns and villages, browse art galleries and gift shops or enjoy the eating and drinking of award winning local produce in lovely surroundings. Submerse yourself in history and heritage and visit the historic houses, castles and museums and finally, for the adventurous there’s the surf schools, boat trips, clifftop walking and cycling with the rolling hills of the Lammermuirs also offering wonderful walking – East Lothian really does have it all! Ownership Open Day on 18th March 2017. Choosing a location that suits you is only part of the process. Visiting the park before you decide to make a purchase is vital. Gilsland Park is running an Open Day on Saturday 18th March – come along meet us, tour the park and see the Caravan Holiday Homes For Sale. Contact us here to get your invite including directions Contact Us . Why not take us up on a Try before you Buy Offer – come and stay for a weekend/mid week break in one of our Holiday Caravans. Get up close and personal, get a feel for the place and a sense of what it would be like to stay on park, this will also give you the opportunity to meet with the sales team and take a look at the different floor plans and layouts of the caravans that the park have on offer. Pay a deposit on a holiday home within 3 months of your stay and we'll refund the cost of your holiday. Book in for a Try before you buy here Availability and Booking.